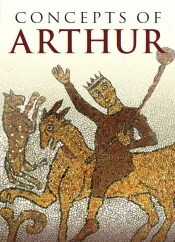 Caitlin Green: An early Anglo-Saxon sorcerer at Teversham, Cambridgeshire? An early Anglo-Saxon sorcerer at Teversham, Cambridgeshire? 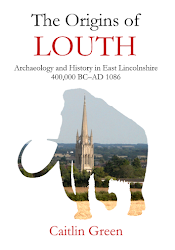 An earlier post on this site looked at some possible place-name evidence for pagan priests and Kultverbände or cultic groups in early Anglo-Saxon Lincolnshire and East Anglia. The following post briefly examines a further place-name that may be of some relevance in this regard. 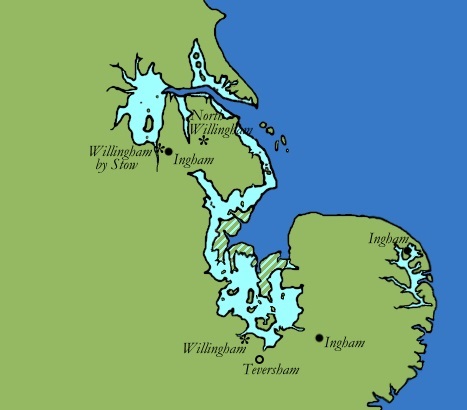 The location of Teversham, set against a map of the post-Roman landscape eastern England and some of the Willingham and Ingham names discussed in the previous post (drawn by C. R. Green). A potential origin for Teversham in 'the estate/homestead of the sorcerer' is, of course, most intriguing. With regard to the interpretation of such an etymology, it is worth reiterating the point made at the start of this post, namely that Teversham is a major place-name of a type often thought to date from the early Anglo-Saxon period, perhaps being coined in the fifth or sixth century—or 'the pagan period', as it was once more commonly known. 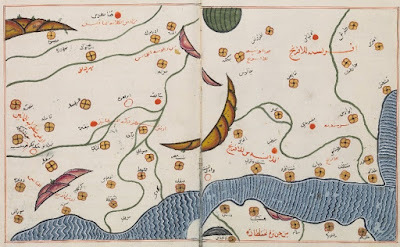 (7) In consequence, if Teversham does indeed mean 'the hām of the sorcerer', as argued above, then the name would probably have been meant literally: that is to say, that it would have denoted a significant estate (or homestead) belonging to someone who was considered a sorcerer in the early Anglo-Saxon period. Needless to say, in such circumstances, John Insley's suggestion that Teversham is 'a name... with possible cultic implications'(8) would certainly seem worthy of some serious consideration. 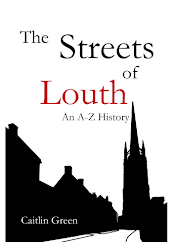 1 See, for example, B. Cox, 'The significance of the distribution of English place-names in -hām in the Midlands and East Anglia', Journal of the English Place-Name Society, 5 (1972–3), 15–73; J. Kuurman, 'An examination of the ‑ingas, ‑inga‑ place-names in the East Midlands', Journal of the English Place-Name Society, 7 (1974–5), 11–44; B. Cox, ‘The place-names of the earliest English records’, Journal of the English Place-Name Society, 8 (1976), 12–66; M. Gelling, ‘English place-names derived from the compound wīchām’ reprinted in K. Cameron (ed. 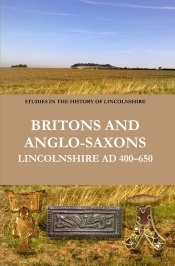 ), Place-name Evidence for the Anglo-Saxon Invasion and Scandinavian Settlements (Nottingham, 1977), pp. 8–26; K. Cameron, English Place Names, 2nd edn (London, 1996), pp. 70–1, 141; J. Insley, 'Siedlungsnamen §2. Englische', Reallexikon der Germanischen Altertumskunde, 28 (2005), 344–53, especially pp. 346–7. 2 V. Watts, The Cambridge Dictionary of English Place-Names (Cambridge, 2004), p. 605; J. Insley, 'Siedlungsnamen', 347. Note, the abbreviations included in these quotations and those that follow are expanded here for the convenience of the reader. 3 E. Ekwall, The Concise Oxford Dictionary of English Place-Names, 4th edn (Oxford, 1960), p. 464. 4 Watts, Cambridge Dictionary, p. 604. 5 Ekwall, Oxford Dictionary, p. 464. 6 Ekwall, Oxford Dictionary, p. 464; Watts, Cambridge Dictionary, p. 605; Insley, 'Siedlungsnamen', 347. 7 As in Cox, 'Distribution of English place-names in -hām', passim.